Home » Painting Tips » What Is Primer Paint Used for? There are times that using a “primer” paint won’t be necessary. Over recent years, the paint technology has come along way in improving the formula for acrylic paints. However, when you have porous surfaces, new wood or even new drywall, you’ll need to use a paint primer before applying any top coat. Simply because the primer’s job is to bond to these surfaces providing an even foundation for the finish paint. Without it, you’ll find that the top coats will dry differently in sections, may not adhere properly, or even react and cause bubbling. 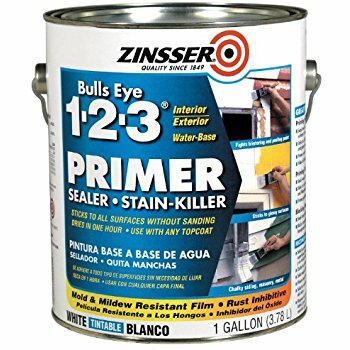 Where Should You Use a Primer Paint? Well, this all depends on a few things like what type of surface and condition of the surface are you preparing for paint. For most general house painting jobs, a paint primer is available in acrylic/latex, oil/alkyd, or shellac based. This type of primer is fairly inexpensive and very easy to apply. It dries quickly so you can usually start putting your finish coat in as little as 1-2 hours. It cleans up with soap and water as well. Acrylic primers are available for both interior and exterior jobs. Using a latex primer will allow for breathing which lets any moisture out without being trapped and causing blistering and peeling like an oil based primer would. However, latex primers won’t cover stains completely. You’ll find that crayon or even wood knots will bleed through the primer. In this case, you should be using a shellac based primer. 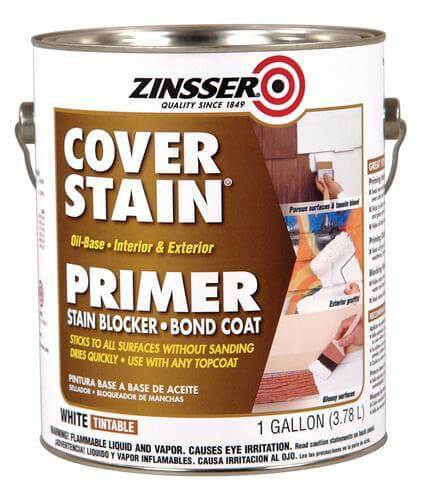 Oil or Alkyd primers are great stain sealers and general surface levelers. Even over problematic walls that have seen many layers of finish paint and unsightly roller marks, etc, an oil primer works wonders to provide a new canvas to work from. Of course, oil-based primers do require a longer drying period up to 24 hours and often have strong odors. There are some that are classified as odorless which will help a lot. Just be sure to have your room well ventilated when you’re priming with oil. The clean up for oil-based primer is to use mineral spirits or turpentine. Shellac-based primers are fast drying. They are a great choice when trying to cover tough stains like wood knots, water stains and even fire and smoke damaged areas. Be aware though, this stuff has a very strong odor and you’ll need to work in a well-ventilated area. It’s very adhesive as well and will bond to all surfaces without needing to sand the areas. Another advantage you have with this one is that they aren’t going to be as expensive as other metal primers although the quality actually varies. For any metal surfaces, it’s best to use a proper metal primer. Once water seeps through to the bare metal, oxidation will begin. It basically bonds chemically to metal and zinc-coated steel providing a base coat and long-lasting protection. 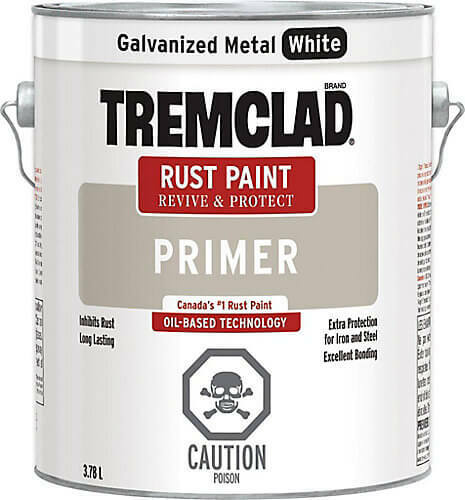 Most metal primers also have a superior rust inhibitor and it helps the top coat to resist chipping and peeling. This makes them last longer than the other types we have listed above. However, you need to be aware that their price may be higher but if that’s no problem, you should go ahead. What about all they hype about Paint and Primer in One or Paint Plus Primer? 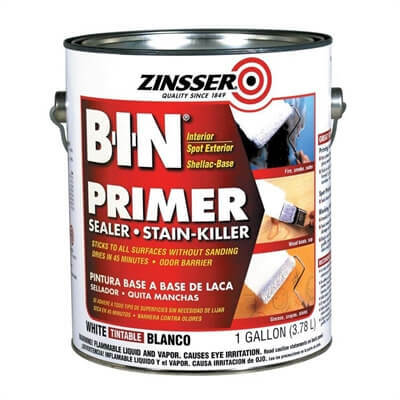 Recently, we’ve seen more manufacturer’s coming out with this type of “paint and primer in one” line. There’s been a lot of conflicting stories about the quality of this type of paint and primer. It’s really a love/hate relationship. Primers have a specific formula and purpose, right? And so do high-quality finish paints – so wouldn’t I be losing on some of these attributes by using a can of the paint and primer in one? Not very often can I get away with just one coat! (saving going with the same color of course). So, why do they make this kind of paint/primer so thick and claim you can do your job in only one coat – oh, and charge you an extra 20-40% per gallon. I can get my primer tinted to the color I’m using and apply one coat of primer and one top-coat to finish the job. 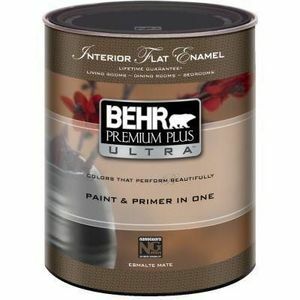 Again, some people really like this paint and primer product while others don’t. Do not be swayed by a lower price at a big box store when making purchases of materials such as paint and paint primer because the old saying “you get what you pay for” definitely applies. Paint price is directly influenced by its ingredients and their quality. Latex or Oil Paint ~ Which Is It?